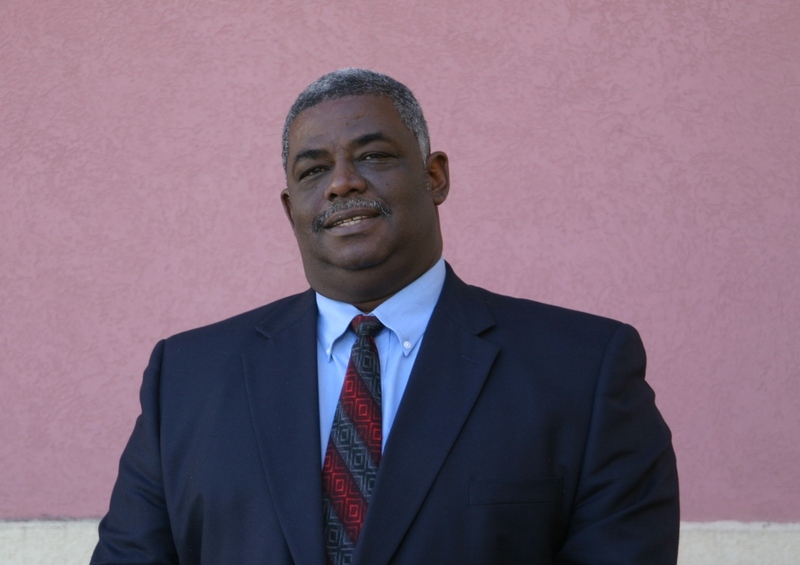 NIA CHARLESTOWN NEVIS (June 12, 2015) — Premier of Nevis Hon. Vance Amory says the late Malcolm Guishard’s love for country and selflessness are traits which should be emulated by every Nevisian. Mr. Amory was at the time delivering remarks at a memorial service at Guishard’s grave side at Bath Cemetery on June 11, 2015. The service was held by the Nevis Island Administration (NIA) to honour the memory of Guishard who for many years served as a minister of government on Nevis before his passing in 2007. 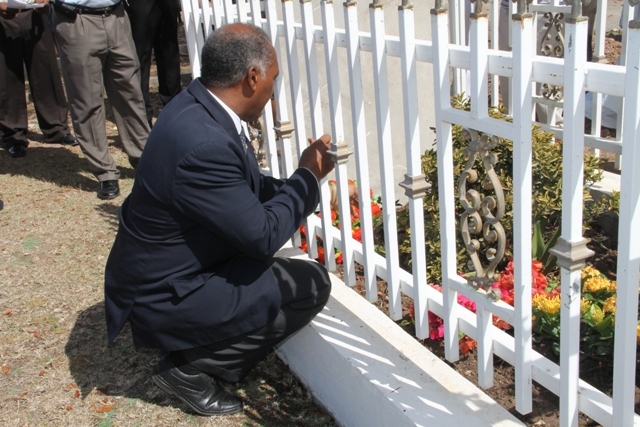 “I believe it is good that we as government and leaders of the country of Nevis, can continue year by year to hold up this memory so that our children and those who may not have known him and those who knew him would always keep in mind what he stood for and how we and they can, in fact, make a contribution to our country for the betterment of Nevis,” he said. Deputy Premier Hon. 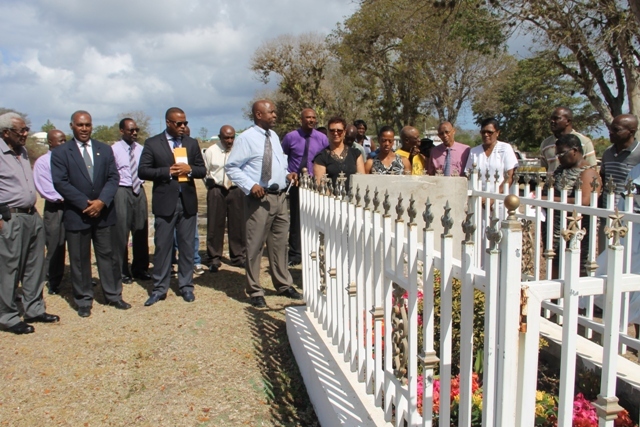 Mark Brantley, who was also in attendance, said it was important for the people of Nevis and the wider Federation, to remember the late NIA and Federal Minister for all the good he had done in his lifetime. He pointed to several achievements of the late minister which he said were visible throughout the island, from housing developments to roadways, to basketball courts among others. Mr. Brantley thanked the Guishard family for sharing him with the rest of Nevis and hoped his family and the rest of Nevis would continue to benefit from the seeds Malcolm Guishard had sown during his lifetime. “I think his life was one of service and it is important that we emulate that and as we grow and develop as a country, we never ever forget the contribution made to this island and to this country by people like the Hon. Malcolm Guishard,” he said. Meantime, in response Guishard’s widow Yvonne expressed gratitude to the NIA for remembering her husband. She described him as a great husband, father and leader who loved and contributed to the development of Nevis and one who the people of Nevis loved in return. Other remarks came from Legal Advisor in the NIA Colin Tyrell who recalled times they spent together. He said he would continue to have fond memories of Mr. Guishard. He noted that the memorial service brought with it mixed emotions. “This kind of ceremony is both sad joyful because it forces us to remember him. It forces us to mourn his passing but he will always be an important figure, I think, in the history of Nevis and for his commitment to the people and his contribution,” he said. Theodore Hobson who worked with Mr. Guishard from 1986, stated that he was a formidable character and minister who had made an enormous contribution to his country. He said Guishard embraced everyone, sometimes even to his detriment but believes that was the personality that embodied him. Mr. Hobson said he was hopeful that tribute to Mr. Guishard’s memory would continue since he was a hero of Nevis, who had done much for the island. 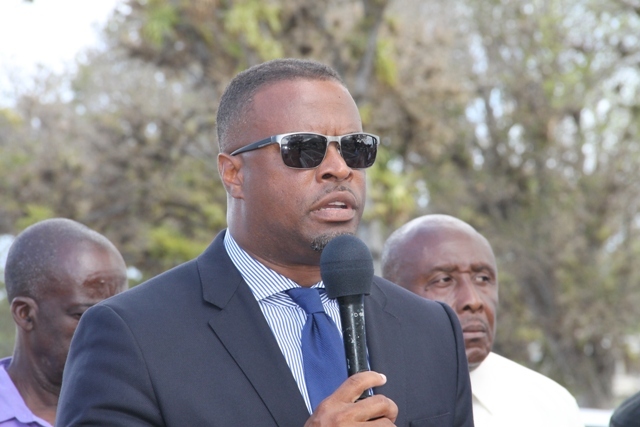 The ceremony was chaired by Cabinet Secretary Stedmon Tross. Also attending were Junior Minister Troy Liburd, Permanent Secretary and Assistant Secretary in the Premier’s Ministry Wakely Daniel and Kevin Barrette respectively, Permanent Secretary in the Ministry of Tourism Carl Williams, Chief Executive Officer of the Nevis Cultural Development Foundation Keith Scarborough, family members and well-wishers.